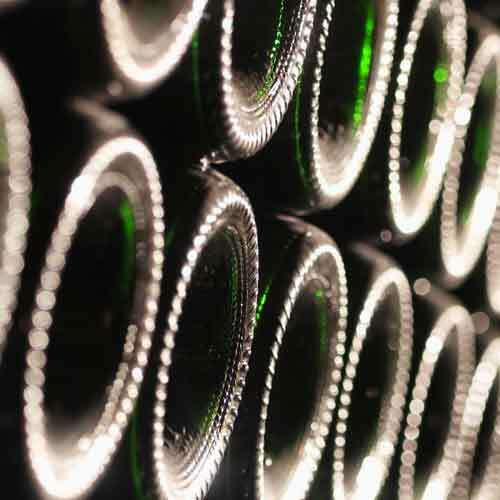 Wineries are generally good at making and selling wine. But that’s no longer good enough to drive awareness and sales with new audiences. Digital marketing for wineries is more important than ever. Today’s consumers want to interact with brands on their social platforms, find gorgeous pictures when they search and find new brands on emerging digital platforms. Keep reading for some of the most critical mistakes we see wineries making today. 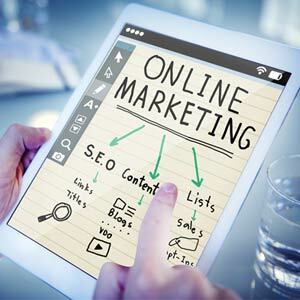 And if you choose to advertise, here are 5 Things Wineries Should Consider About Online Advertising. It’s Important to have a library of great images to use across social platforms. Along with a great narrative backstory, creating effective digital marketing means embracing bold, beautiful pictures and videos. Here are some things you can do to make this easier. Create an archive of beautiful assets that you can share each week on all the major social media platforms. 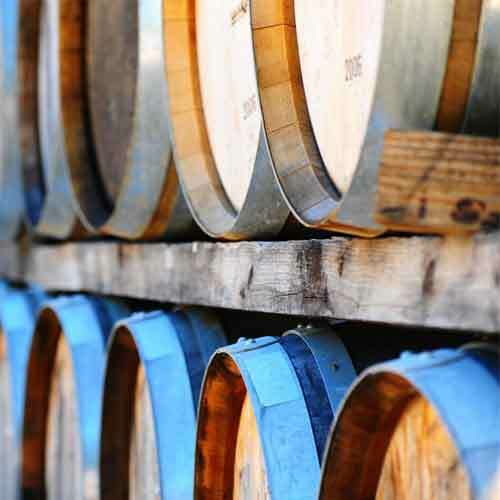 Most winery websites have nice photos. But it’s not just about the 10 pics on your site. You need several dozen high quality images and videos to keep your audience engaged on sites like Instagram and Facebook. The good news is, it doesn’t have to be that much work. A couple of properly planned photo or video shoots should give you several dozen posts to spread out the fabulous views, the pictures of happy customers, and the founders telling their stories across all the key platforms. Encourage customers to create and share their own stories. According to Brandwatch, 90% of Instagram users are under 35, and the platform now boasts 800 million users. Engagement with brands on Instagram is 10 times higher than on Facebook. That’s an amazing tool to reach one of your most important demographics – and they love to share. Give them a reason to share using your own custom hashtag – like 10% off their next visit when you post a pic under #yourbrand. You’ll be pleasantly surprised when your customers do your marketing and social work for you. It doesn’t have to stop there, how about offering a monthly voting contest among your Facebook or Pinterest followers on the best picture – the winner gets a free bottle of wine. You will have spent next to nothing to encourage your fans and followers to post their own pics promoting your brand. 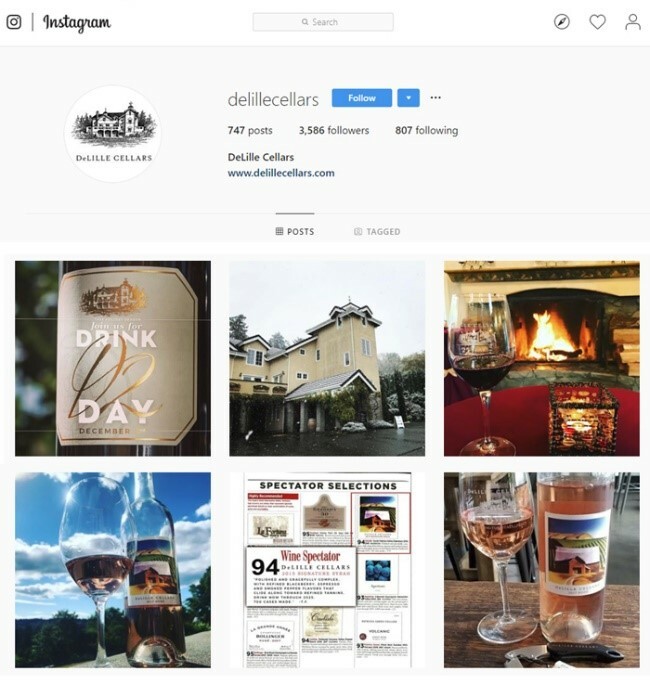 For inspiration, check out the DeLille Cellars Instagram page. They do a great job of featuring pictures of their wonderful property and brands, highlighting awards and media mentions, and generally making the experience look amazing. 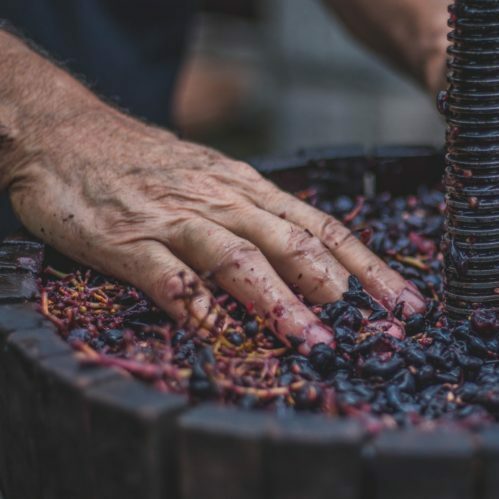 It pays to remember that every winery needs a third-party content strategy to reach new prospects on sites and lists used to discover new brands and locations. It’s no secret that search is a critical tool for all businesses. But too many small businesses neglect their Google My Business profile, mistakenly thinking that what shows up on Google is out of their control. The Google My Business hub allows you to add beautiful pictures and additional information about your business on the page when anyone searches for your brand, not just your phone number and address. And the customer reviews can be a powerful tool for casual searchers to quickly see what other people say about your business. Look at the difference in the two results below. Which winery would you rather visit? 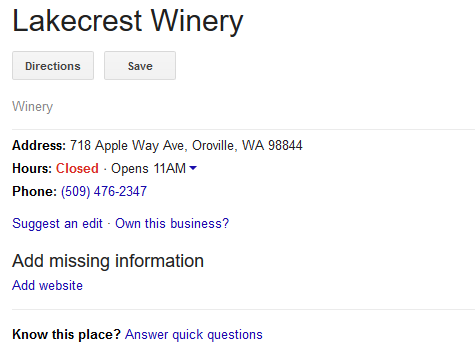 Any digital marketing program for wineries should include a good SEO strategy that brings more traffic to your site, improves brand recognition, and drives more customers to your door. 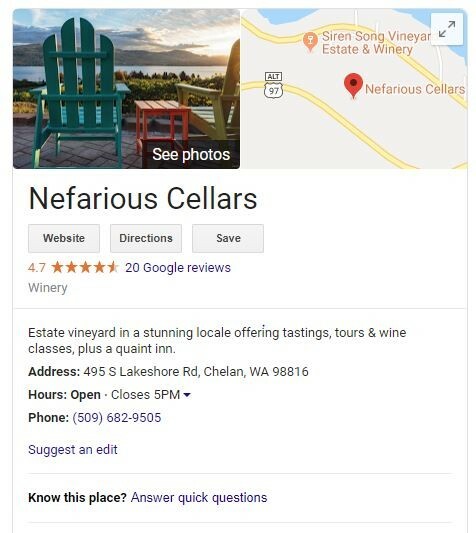 You can check out our detailed guide on SEO for wineries, but here is a short list of some of the things wineries and distilleries can do to affect their search engine results. Feature a modern, mobile-friendly website with relevant SEO upgrades. Define a specific goal for each page and write a unique meta description that describes what the page is about. 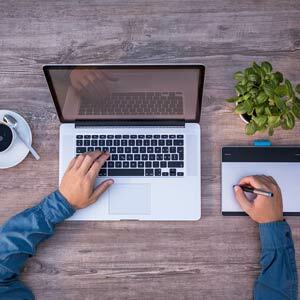 Create new content as often as you can and distribute it on your site and social platforms in the form of blog posts, articles, infographics, etc. 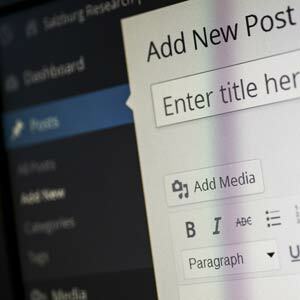 Create meaningful, readable URLs for every page. Encourage online sales or capture customer details in a “Call Me” form. Capture customer information (name, email, phone, etc.) for a regular email newsletter. Speed up your website. A bogged down, slow-moving website is not only unpleasant for users, but it can have an adverse effect on your SEO. Encourage reviews and customer interactions via social media. Analyze and test every change. Want more winery related marketing info? 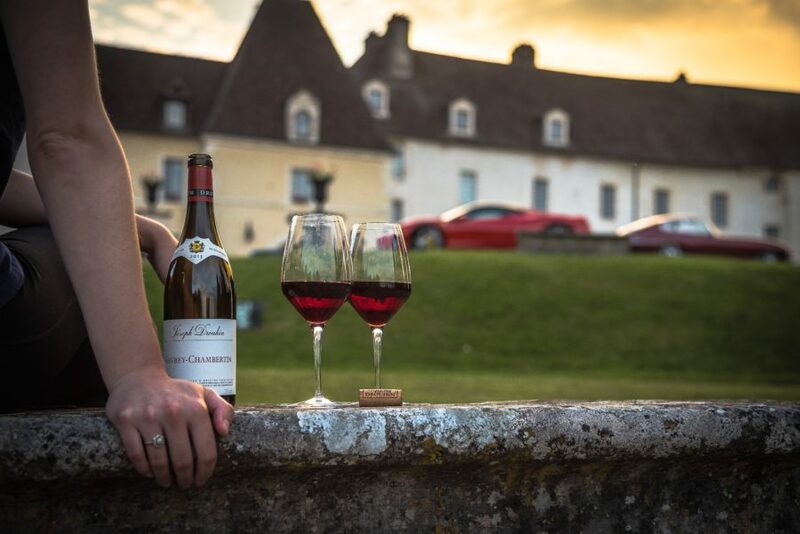 Subscribe to our Marketing for Wineries Newsletter. We promise we won't share your data with anyone. Drizly, Minibar Delivery, Saucey, Kink, Swill, Amazon Prime Now, and a host of other apps offer liquor and wine delivery in most major US cities. If you’re not available in these growing sales platforms, you’re missing out on huge discovery and awareness opportunities. 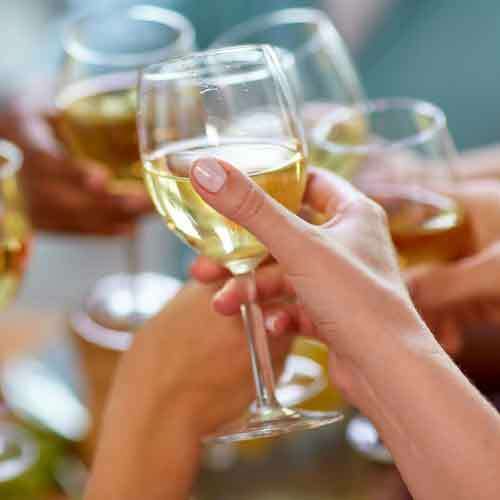 Many wineries assume that sites like Wine.com, winemag.com, and Foodandwine.com will feature them just because they are listed in their state’s winery list. The truth is, these sites often offer paid posts, guest posts, and even paid opportunities to be listed in ‘best of’ articles. All of these strategies take a disciplined approach to digital marketing, and we’d love to help. Ready to get serious about your digital marketing strategy?